If my schedule permits, I am happy to perform such ceremonies in someone's home, in a hospital, or wherever is appropriate for the occasion. 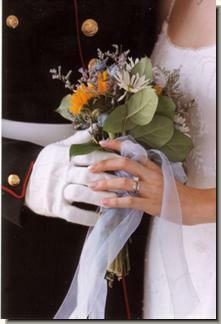 Our Short and Sweet Ceremony Package is ideal for these kinds of circumstances. With at least 24 hours notice, I will even perform the ceremony in my own home. (Just give me time to pick up the day-to-day detritus and spiff up the guest bathroom!) I have a lovely fireplace in the living room, and a more rustic stone fireplace in the family room – either is a perfect setting for exchanging your vows. If you're interested in a simple small wedding that's a step above an impersonal courthouse ceremony, where the only decision you have to make is what to wear, look for my Simply Comlete Wedding Package to debut soon!